Our most popular tour, covering the southern half of the Bay of Fires, offering a great opportunity to learn about this stunning area. 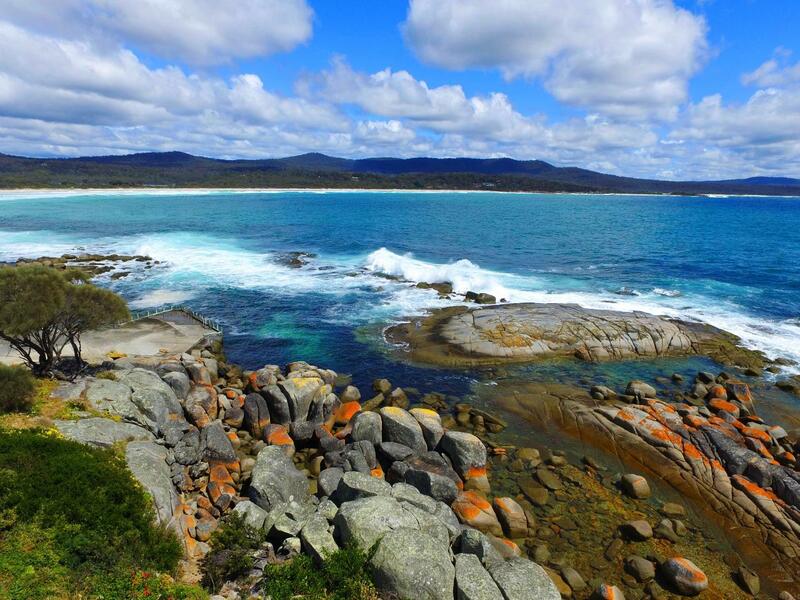 You will cover around 17kms of pristine coastline, the history and natural beauty will be highlighted as we traverse our way north along the Bay of Fires Conservation Area. Our return journey is an offshore experience giving you a panoramic view of the coastline, just as the early explorers would have encountered when they first set eyes on our white sandy shores. Different times of year bring a diverse range of sea life, including Humpback and Southern Right Whales, Dolphins, Fur Seals, Pelicans, Albatross, Pacific Gulls, Shearwaters and Sea Eagles. This tour departs at 9:30am every Tuesday, Thursday, Friday & Sunday from the Binalong Bay Gulch (Main Rd, Binalong Bay). This tour is also offered daily during the winter (May - September) - 10am Departure, however we advise that whilst these months bring some of our most settled weather and beautiful days, it can be very cold out on the water and please dress appropriately. Tour schedules sometimes need to be altered due to tidal and weather conditions, please read tour times carefully when making your booking. Passengers must arrive 30 minutes prior to departure, this allows for sufficient time to conduct all pre boarding procedures. If you do not see a tour on your preferred date, it is most likely the tour is booked out or has been cancelled due to bad weather or tidal conditions, however please feel free contact us via phone to discuss booking options. Sometime sea conditions dictate the tours we can undertake, on occasion our Gardens Explorer tour must be shortened to the Sloop Rock Express, we understand this can be disappointing for some passengers, however your safety and comfort is our number one priority. We require minimum numbers to run tours, we will contact you if minimum numbers have not been reached the evening before your scheduled departure. Children must be accompanied by an adult – Please be mindful when booking for children, the open ocean can be daunting for some and the vessel is exposed to the elements. If your child is under the age of 5 or you have any concerns please feel free to contact us to discuss.